The mold have another name tooling,sometimes we call call ourself tooling make in China,in the recent time ,China is the biggest tooling making area in the world,only Shenzhen have about 10000 tooling making companies. 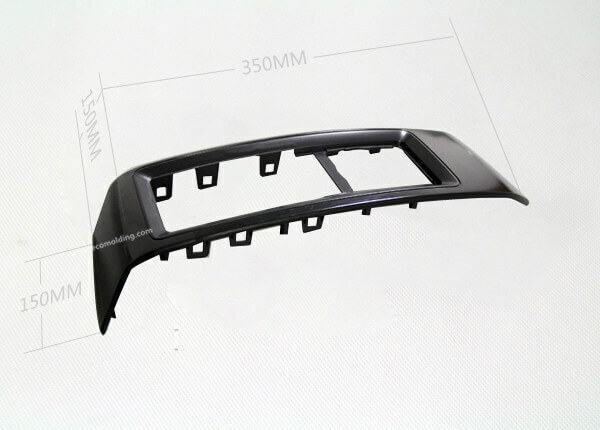 but the quality and price is different base on their size and history,we have more than 15 years experience in tooling making fiel and capable of providing proper price with good quality.our mould are exported to USA,UK and Europe.more than 50 countries.above picture is a plastic parts in automotive,we made this mold 2 years agao.as the feedback from customer,this mold already run more than 1 years without any problem. 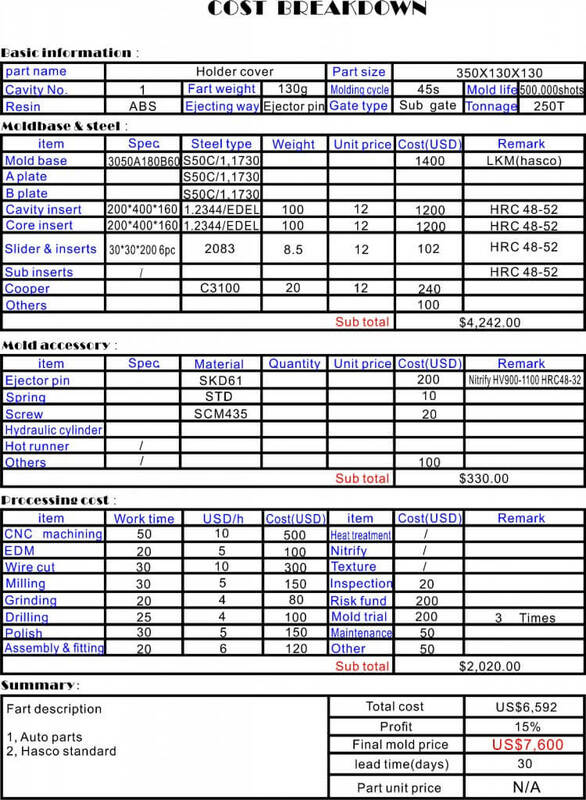 Below is the cost breakdown for the mold,Welcome to contact us if you have similiar project.